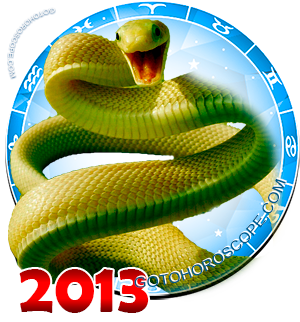 May 2013 Horoscope Gemini, free Monthly Horoscope for May 2013 and Gemini Astrology Forecast for the month ahead. 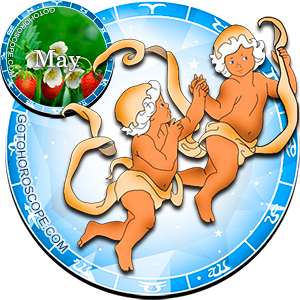 According to the stars, the first zodiac sign of the Water trine, Gemini, needs to prepare for a sudden turn in his destiny in May 2013. But all the commotion is unnecessary as the changes promise to be favorable for the majority of the time. 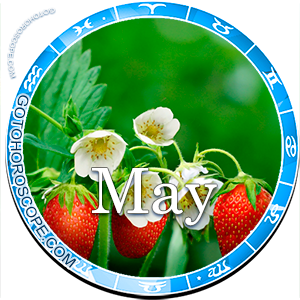 Throughout the entire month of May, Uranus who will be situated in the Aries sign will have an extremely favorable effect in every aspect in the lives of the ones born in the Gemini sign. Yet, the effect of the distant planet will not be as significant as one would desire. However, Gemini will still be able to experience it, especially when the object of their adoration suddenly and directly declares its reciprocal ardor. Also, during this month Saturn will substantially influence Gemini, and this planet will be accountable for the blossom of liveliness in this zodiac sign. Saturn's impact will be most noticeable in the career field, and Gemini can expect a successful end to some project which they have already forgotten. Many things from the Gemini's past will resurface during the span of this month. Unfortunately, not all aspects of the existent matter seem positive; however all of the future obstructions will be facilely preventable. The area of business as well as the business relationships will gift Gemini with a broad spectrum of new opportunities and career divergence. You can seriously start thinking about a career change, even more so now, when you are presented with the opportunity to do so. The stars advise you to stay in your current works, as a risk of some negative influence by Venus, the one responsible for the "fall" of Gemini, looms around the corner. But we shouldn't forget that in May, the goddess of love will radically change her preference, which means that her negativity will most likely be neutralized. So don't be afraid of making responsible decisions that at some point may alter your whole life. Now is the time to succumb to temptation and follow the very famous saying "No pain, no gain". Its majesty the king of our galaxy, the Sun, with the least amount of effort will neutralize all of your competition and help you make the right decision. Uranus will fulfill functions that are usually executed by Mercury, and will advise you as to what's the best way to manage your financial matters. Nevertheless, there is still the possibility that one of your ventures may seem unjustified. The responsibility for the "exile" of the Gemini signs falls on Jupiter, who along with his ally Saturn will make sure that their unpleasant influence is made known without any hesitation. Even with such strong allies, you will still need to put the least amount of effort in order to achieve victory. When it comes to personal relationships, Gemini has to be ready for anything. Some smaller arguments may turn into some serious and ruthless fights. You may ask yourself then what should I expect? All probable outcomes can be easily deduced to one aphorism: when one door closes, another one opens. Meaning the choice is completely up to you. Better a tomtit in your hand than a crane in the sky. However, be careful that the crane doesn't turn into a raven. In the meantime, try to carefully appraise the situation, because a crane may seem as a swan, which stays faithful to his "other half" for the rest of his life. Due to this Gemini have a tough choice to make in front of them. The most peculiar thing is that none of the celestial bodies will take the risk to help this zodiac sign in his endeavors. In any case, May will determine your future or to be more precise at least one aspect of it. It is never too late to change something, but remember that some decisions stay engraved forever in your memory and in the memory of others, because a moment can last for a second, but the memory lives on forever.